The ceiling in your bathrooms probably have a ceiling exhaust fan. These fans get clogged up with dust over time and they tend not to work and potentially burn out faster than they need to because they are working harder. It is important to periodically clean these out. 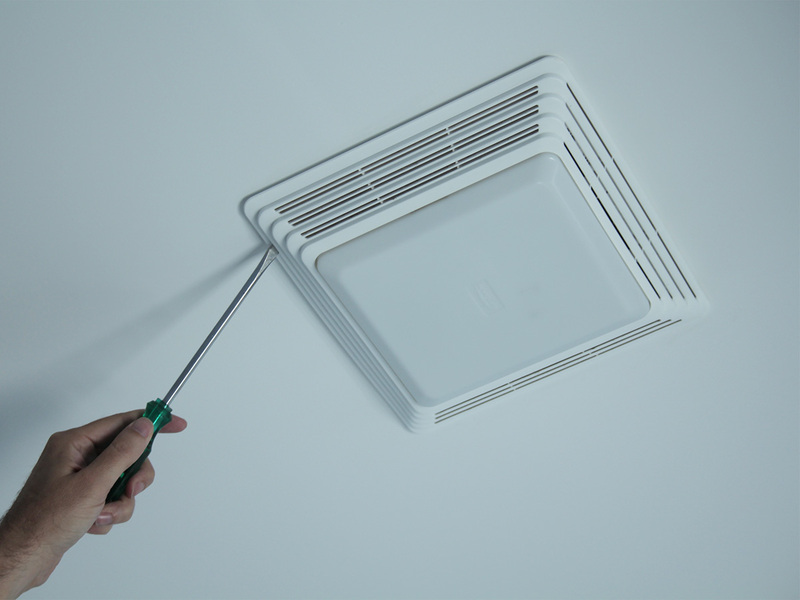 First, take either a handheld vacuum cleaner or a hose attachment up to the ceiling and vacuum out the dust around the vented openings. Then you can pop off the cover to the fan typically by pulling it straight down and then looking for some spring clips inside. Once you have the cover off, you can disconnect the fan and proceed to take your handheld vacuum and clean inside and around the fan itself. When you are done, plug the fan back in and put the cover back on. Here is a video from Downright Domestic TV to check out.